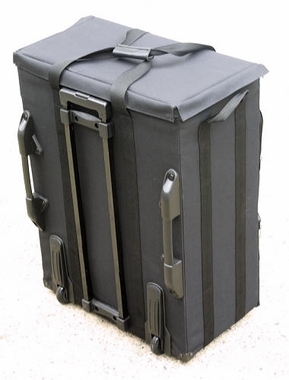 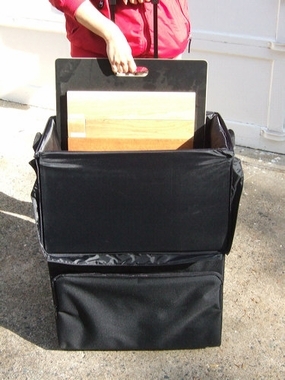 At last, a convenient way to carry flooring samples and builder boards on sales calls! 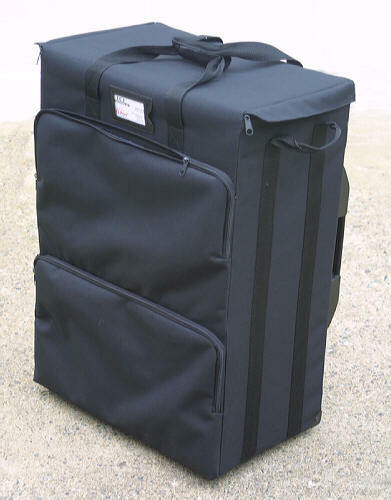 Features a built-in telescoping handle, rollerblade wheels and a convenient top-loading configuration. 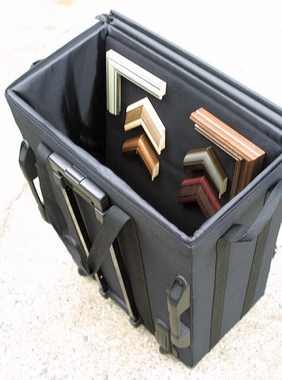 Insert your pre-made sample boards, or make your own flooring sample arrangements on the fly with our Velcro-compatible Display Boards (shown in last inset photo, above), which are sized to fit the case.